Trust. A community land trust, or CLT, is really just a kind of nonprofit organization that creates a governance structure so that it is led mostly by people who live in the area. 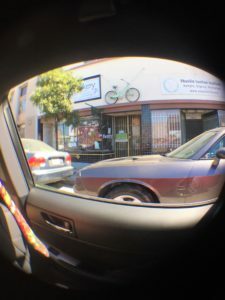 They give long-term (talking 99-year) leases to residents and community stewardship groups like community-based organizations, cooperative enterprises, community farms, small businesses, and other people who run the actual places. The CLT owns the underlying land to ensure that it will stay permanently affordable and community controlled beyond an individual family or group’s residency. 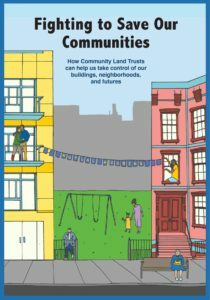 Learn more about CLTs on the NYC Community Land Initiative’s website and through their comic book poster here. The first community land trust was New Communities in rural Athens, Georgia. It was created by African American civil rights organizers in the 1960s facing systemic discrimination from the government that restricted their ability to own and use their land, so they crafted a solution: community ownership. Listen to Shirley Sherrod tell the story here. Right now in NYC, grassroots advocates, nonprofit support organizations, and government agencies are making strides towards applying CLTs to provide stable housing for people who need it, protect residents from displacement, and protect small business, nonprofit, cooperative, cultural and community space. We are informed by the success of the Lower East Side’s Cooper Square CLT, which came from community organizing that started in 1959 (read more about it here). 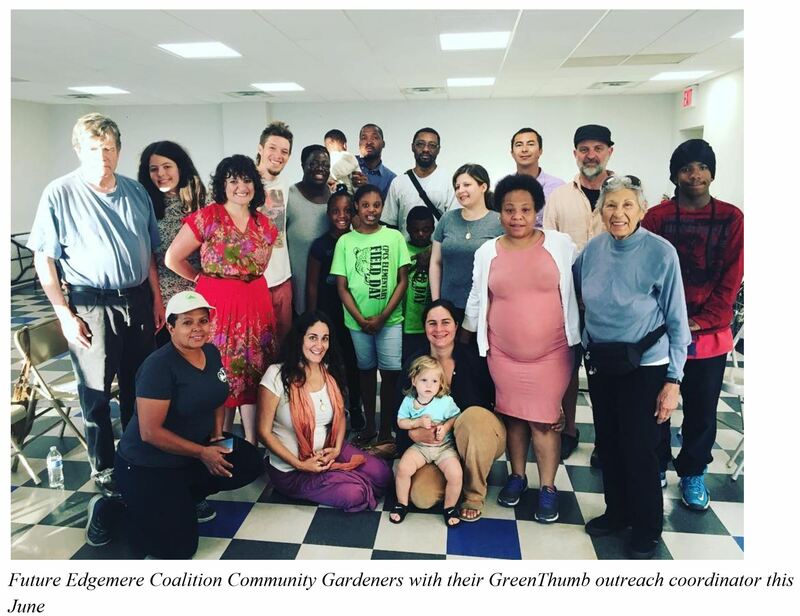 Learn more about CLTs currently being organized in NYC: the East Harlem/El Barrio CLT (plus video about it here), and here’s a radio story about the Mott Haven-Port Morris CLT. Read more here. On the tour. Thank you, Steve! Last week, 596 Acres had the chance to meet Steve King of the Oakland Community Land Trust, or OakCLT, which has been protecting land for community in partnership with residents and community-based organizations since 2009! During our tour of their places, we learned about different things the OakCLT does to protect land so that residents can not only keep their homes and community places, and/or make new ones where vacant lots and buildings once were, but also determine the use of that land for the long-run. May these stories be inspiration for all the ways our city’s CLTs can support space for our lives and communities in the coming years! 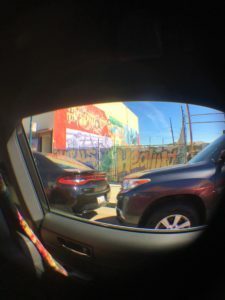 With its colorful murals and organizations whose names sing of community strength, residents of Oakland have clearly been investing in this building for a long time! On the ground floor, there’s The Bikery, a community bike shop; Sustaining Ourselves Locally (SOL), an organization that teaches gardening skills and offers a low-cost event space; Liberating Ourselves Locally (LOL), a maker lab that offers equipment like industrial sewing machines and 3D printers on a donation basis; Shaolin Life, a martial arts studio; and Peacock Rebellion, an arts nonprofit that offers performance workshops to trans people of color. People live in the eight apartments above the storefronts. There is also a community garden in the back. The landlord wanted to sell, and kindly gave the tenants time to figure out what would be best for them. 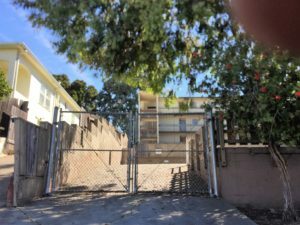 After finding incompatibility with some top-down affordable housing developers, they found an ideal buyer in OakCLT, which could acquire the land without displacing current residents nor hoarding all the value that residents have made by making this place lovely. OakCLT is using the capacities of the land trust to be able to pool together financing necessary to buy the land, and to leverage its relationships with the city to bring in some other resources. 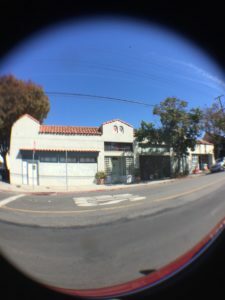 Watch this video to see the incredible community and organizing that’s going into preserving the 23rd Ave Community Building! Steve told us that this is the ideal scenario for OakCLT: when people who are already using spaces for community benefit are already planning and organizing for its future stewardship, and reach out to OakCLT to get their real estate services. 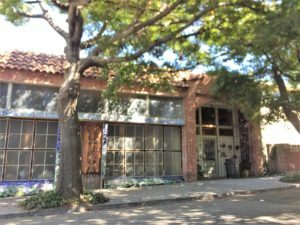 Read more about the 23rd Avenue Building in the news or listen on local radio. This building in East Lake is mostly home to working artists. 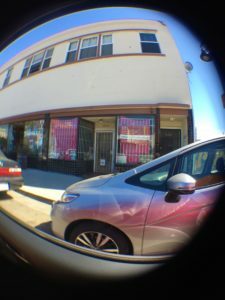 The landlord no longer wanted the responsibility of being landlord, but wanted to protect her current tenants and ensure that the space can continue serving as homes for local working artists for the long-run. 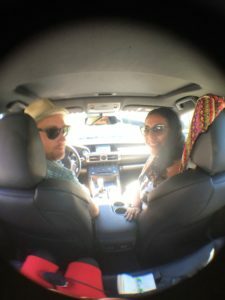 OakCLT and the landlord are now working out a deal! There are different ways that residents of CLT properties can partner with the CLT to steward them, from affordable rentership to limited-equity cooperatives. OakCLT is currently working with residents to help determine the best model for them and the building over the long-term. 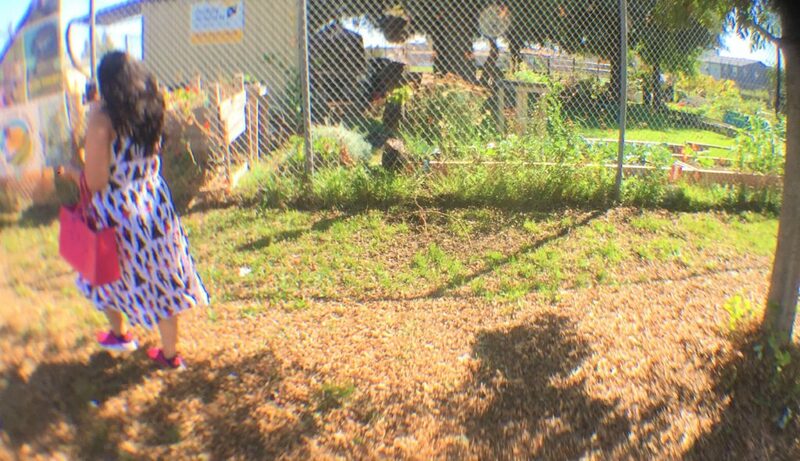 OakCLT is working in partnership with the International Rescue Committee to transform the overgrown vacant tax-delinquent lot on the right into a community farm stewarded by immigrants and refugees who were farmers before they were displaced from their places of origin. While the particularities of how our cities deal with tax debt deviates, the public has leverage over abandoned private land at some point in the process, and sets policies that dictate what happens to it. In NYC, the government routinely sells tax debt to a private investment trust, so this exact process is not the same. However, while the city still holds the debt, the public can still enforce it to foreclose in rem so that ownership can be transferred to ready, willing and able CLTs. Passing the Housing Not Warehousing Act will help build transparency and accountability about vacant properties so community advocates will know where opportunities lie. This former public housing authority building, with fifteen 3-bedroom units, has been abandoned for the last 15 years. 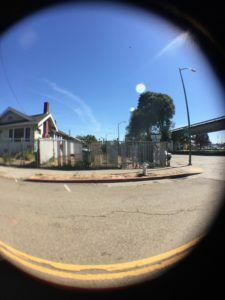 The building has sat vacant amidst a growing crisis of land speculation that has left over 10 thousand people without shelter in Oakland and San Francisco. 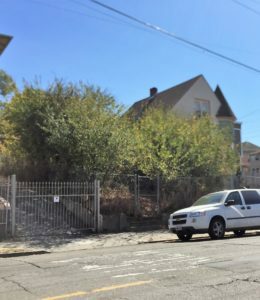 Recently, the Oakland Housing Authority put out a request for proposals (RFP) from developers interested in buying the site and redeveloping it as affordable housing. With the visible energy of grassroots community land access advocates, OakCLT submitted a proposal and won the contract! They are moving forward with identifying funding for to make all aspects of the project a reality, and with developing a method for resident stewardship of the space. This could be a similar approach for current city RFPs for the disposition of public land including the Inwood Library (Manhattan) and the Brownsville RFP (Brooklyn). 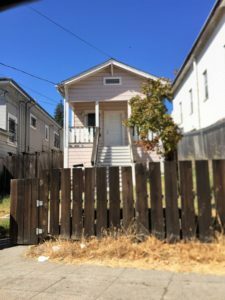 Most of the properties in OakCLT became part of the community land trust this way: in Oakland, 13,000 occupied single-family homes entered foreclosure as the result of predatory lending practices by financial institutions that led to the great recession of 2007. In other words, one out of five of Oakland’s families living in a single-family home faced displacement. Roughly half of those 13,000 properties were quickly bought up by speculative investors who would profit off of this crisis of displacement. OakCLT was able to acquire seven of them with federal neighborhood stabilization funds, despite regulations that made it hard to compete with investors (for example, federal neighborhood stabilization funds could only be used to make offers that were 99% of asking price). OakCLT also partnered with Youth Employment Partnership, an organization that employs youth for job training and educational opportunities, to substantially rehabilitate two additional homes. All of the houses that OakCLT acquired this way are still occupied by the same people. As limited equity homes, people who move out can make some, but not unrestrained, returns on the property. Ownership of the land will stay with OakCLT. This way, houses will stay truly affordable to Oakland residents for the long run. 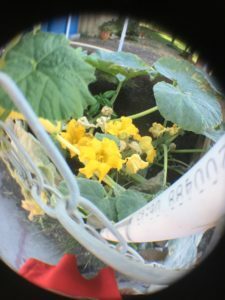 We had the pleasure of being introduced to Kelly Carlisle, Executive Director of Acta Non Verba’s Youth Urban Farm Project, a nonprofit that elevates life in the inner city by challenging oppressive dynamics and environments through urban farming. 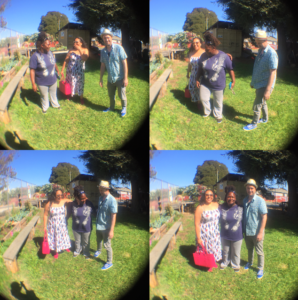 We got to visit their quarter acre farm in the City of Oakland’s Tassafaronga Park. The farm is planned, planted, harvested and sold by youth in grades K-8. One hundred percent of the proceeds are placed into individual savings accounts for those who participate. A great use of public land! While this particular community farm is not in OakCLT, Kelly and Steve are working together to secure more land for this community-led organization to steward. Stephanie of 596 Acres, Kelly of Acta Non Verba, and Steve of OakCLT cheesin’ from left to right in the bottom photos. Thank you so much for welcoming us to your Oakland, Steve and Kelly! 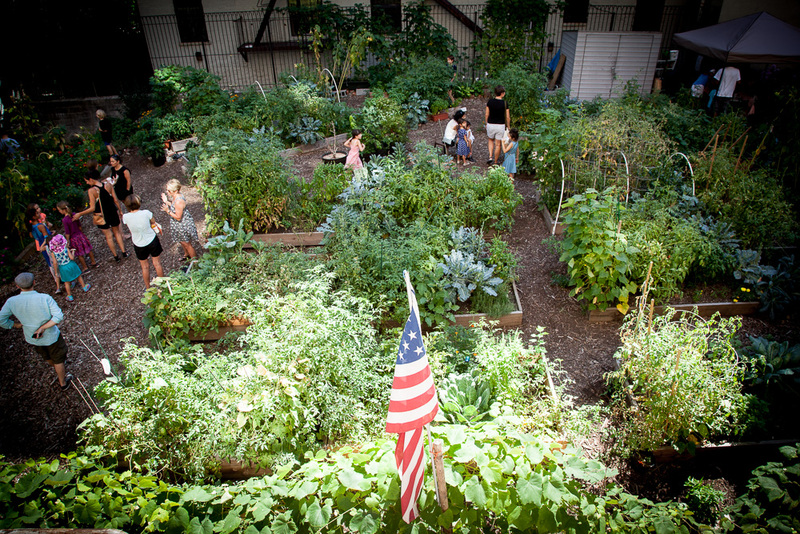 Letter to Chief of Parklands Requesting Transfer of Vacant City-Owned Lots to NYC Parks for FIVE NEW COMMUNITY GARDENS! 596 Acres-Inspired Project Launches in Montreal!